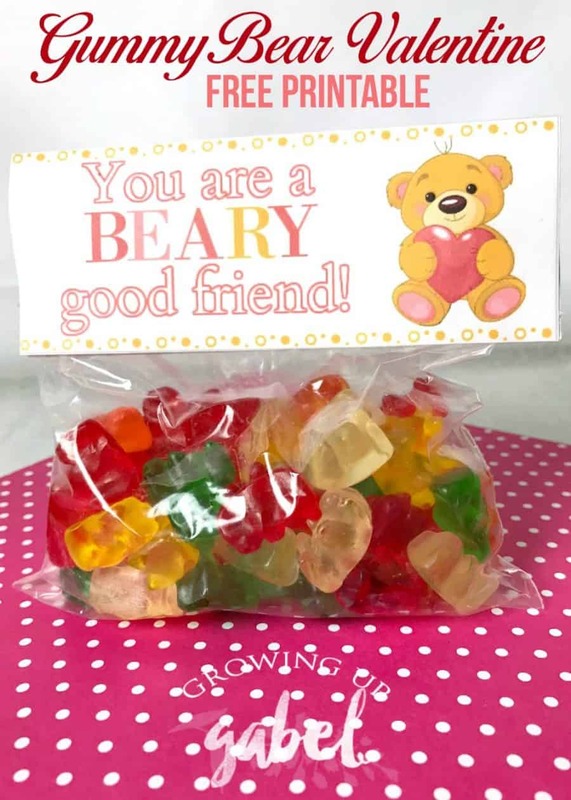 Cute gummy bear valentines will be the hit of your Valentine's Day. 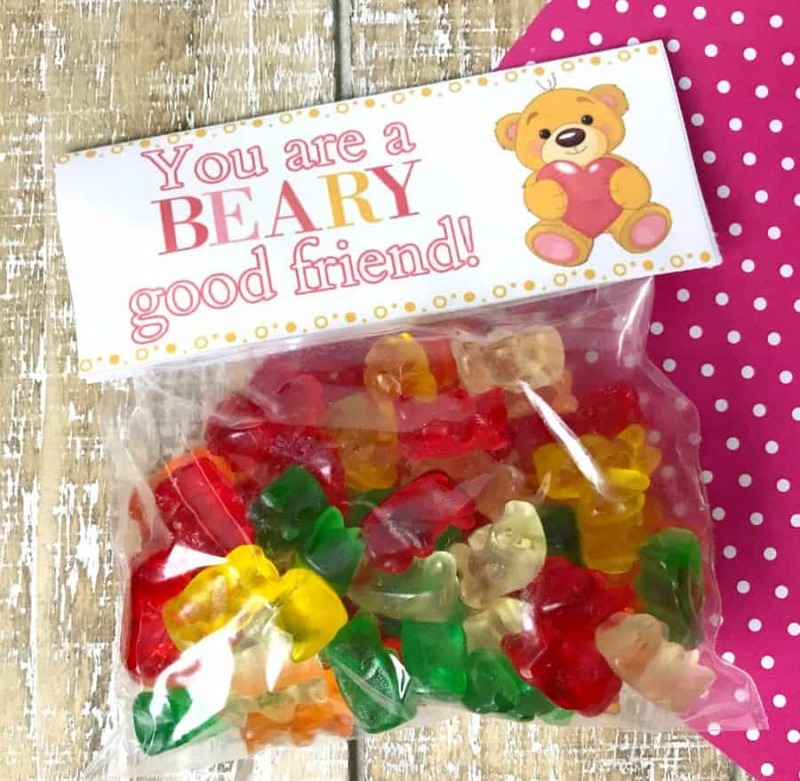 Fill snack bags with gummy bears and give to your “beary” good friends. I remember as a kid heading to the small town drugstore to pour through the rows of boxes of Valentine's Day cards to give out to my classmates. Now days thanks to printers and the internet, Valentine's cards or treats are so much more fun. 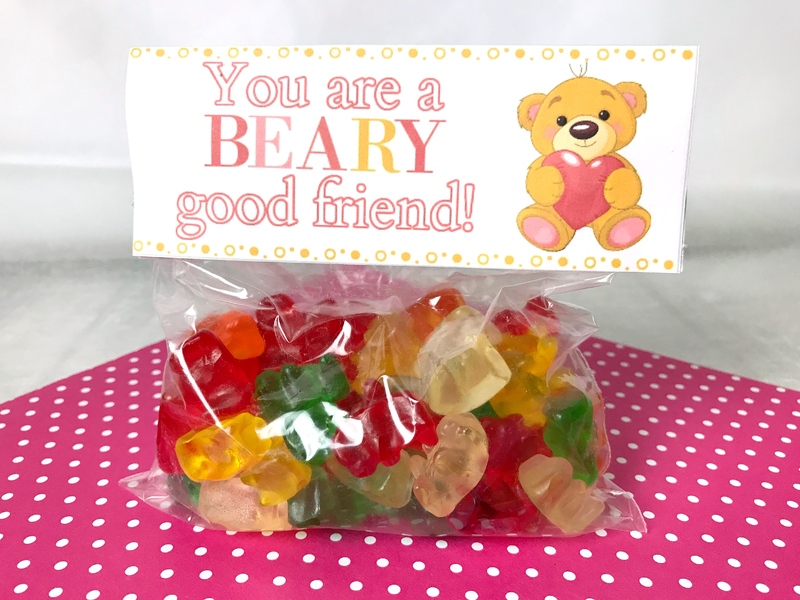 You can print out fun paper airplane Valentines Day cards, make bubblegum necklaces or make these cute gummy bear treat bags. These little bags are easy to put together. You need clear sandwich bags or clear treat bags; gummy bears, and our free printable topper. One of the best things about these gummy bear Valentines is that you can choose how many gummy bears to put in the bags. If you have young children, just put a little bit of the candy in the bags. And of course older kids enjoy more candy in their bags. After the bags are filled with gummy bears, simply fold over the top. Cut out the gummy bear toppers, fold and then staple onto the bags. Older kids can make these pretty much on their own. If you want to vary your candy Valentine's Day treats, then check out our Superhero Valentine's . Fill out this form to get the Free Printable! You will also sign up for the newsletter to get a touch of Growing Up Gabel delivered to your inbox.